Energy is the lifeblood of our economy; it touches your life in a hundred ways each day. Yet energy policy--the set of government rules and regulations that prescribe how energy is produced, delivered, and consumed--is a complex and even a chaotic subject. Energy was an uninteresting subject for the average person prior to the OPEC Oil Embargo in 1973. Oil prices had been stable at about $20 a barrel in real terms for nearly a century and electricity prices had declined from about 22 cents per kilowatt to about 13 cents from 1960 to 1973, even as consumption of electricity quadrupled from 1950 to 1973, as more and more homes and appliances used electricity and utilities became better at building large coal and nuclear plants. But the OPEC Embargo changed everything about energy and energy policy. Four points will illustrate this importance. A little more than two decades later a California governor was recalled because he botched an electricity crisis in California and Arnold Schwarzenegger was elected Governor. There is a widespread perception that the US has gone to war in the Middle East over oil issues. The Pope of all people has recently declared war on climate change, most of which is laid at the feet of fossil energy. Part of the complication in energy policy is that it must be addressed on many fronts; international, national, State, and local governments all have a role in stirring the pot. Many books and articles are written on very specific aspects of energy policy but most are written for other experts. Surprisingly, few are written that cover the broad landscape of energy policy. Even fewer of these writings take a strong market-oriented perspective; the vast majority take an interventionist approach largely for environmental and oil import reasons. And none that I have found are addressed to the pro-market political activist who has a real job during the day and then tries to save the country in his or her spare time. This discussion is for that heroic citizen, The Forgotten Man. So what’s the bottom line on energy policy? First, we make energy policy much more difficult than it has to be. Energy is a commodity just like wheat or cars or hamburgers. Mostly, we rely on competitive markets in each of these other commodity industries to make sure that we have an adequate supply to meet the consumers’ needs at reasonable prices. But we treat energy differently. I venture to guess that there are only a few industries more affected by government intervention than energy. Why is that? Does that mean we benefit from that intervention? Is there a better way? The article explores these questions. Second, right now energy policy is being driven by climate change. Even if one is sympathetic to some of the claims made about climate change, many stupid actions are being taken in its name that has profoundly negative effects on energy markets. Third, oil issues get the most attention but we do not face any real danger in oil markets. 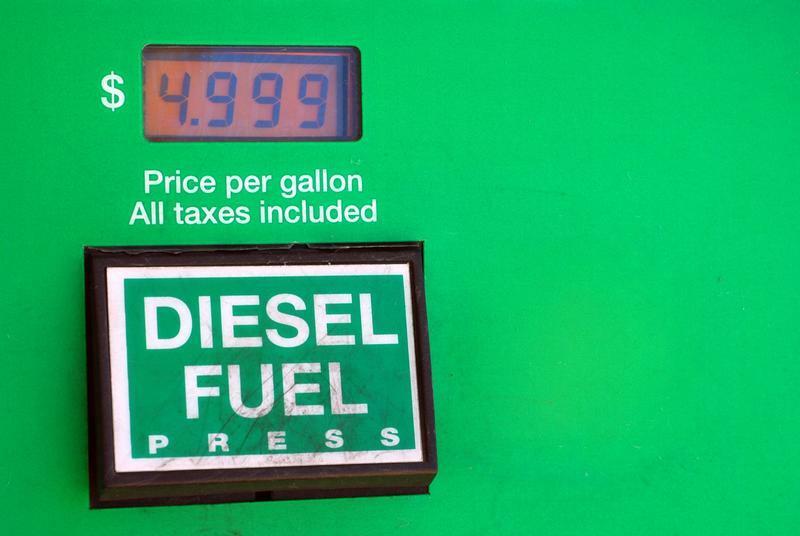 Oil trades in global markets and while there may be price fluctuations (as I write, oil is about $35 a barrel, having been over $100 in the recent past), we will never face a situation where we run out of oil. Most countries with plentiful oil have built their economies on oil revenue and the recent drop in oil prices has created serious political problems for these countries. They simply can’t afford not to produce oil. But problems in oil markets can result in unnecessarily higher prices and thus we need to pay some attention to them in order to promote prosperity. Fourth and most important, electricity faces real problems that could result in catastrophic failure of the system, thus threatening not only prosperity but human life. The major framework for electric policy was set in 1935. That framework worked fine up to the OPEC Embargo. Electricity can compete against oil and natural gas in many applications. Thus adjustments were necessary to the historical framework after the Embargo. But policymakers have only nibbled at the edges of electricity policy and have not fundamentally changed the 1935 framework. Yet little more than additional tinkering is being done to promote an electricity industry for the 21st Century. Many special interests are pushing and pulling on the antiquated framework for personal gain but few are fundamentally committed to a complete rethinking of the role of the electric system of the future, especially given the increasing digitalization of our economy. And as noted above, unsound policies on climate change make electric issues even more difficult. This is a good place to make a point. Some pointy headed academics will disagree with even this first sentence. Technically, Congress did not “ban” incandescent bulbs in the Energy Independence and Security Act of 2007. Rather, they set a standard that most, if not all, traditional incandescent bulbs could not achieve and established a schedule for light bulbs of different wattages to meet this standard. So it is fair to say that Congress outlawed incandescent bulbs. But since the accompanying Article is a synthesis of the broad topic of “energy policy” it would needlessly clutter and complicate the text to be “technically” accurate in every instance. The size of the document would need to double and the reader would understand less of the essence of energy policy if I did not make some broad generalizations. Nonetheless, I am sure I will receive some criticism that many of my statements are not “technically correct.” I hope that making this point early in the article will allow for a better understanding of the content of the Article. Future World – How Many Windmills Would We Need? The US currently consumes approximately 97 quadrillion British Thermal Units (BTU) of energy in all forms each year (97 Quads). Since this quantity of energy and the forms of energy which constitute it vary over time, this analysis will use rounded numbers to avoid the impression of unjustified accuracy or precision. Current US electricity consumption is approximately 12 quads. The objective of the climate change movement is to eliminate fossil fuel consumption by the end of the century, if not before. The climate change movement is also not supportive of nuclear power generation or additional hydroelectric generation. Achieving their goal would require replacing the useful energy services provided by approximately 87 quads of current US energy consumption with renewable sources of energy. 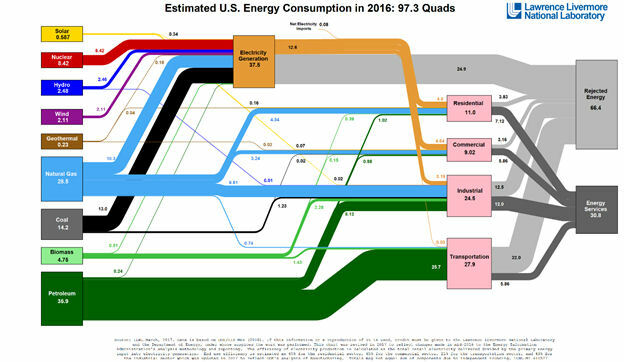 As shown above, current US energy consumption produces only approximately 31 quads of useful energy services. The balance of the energy consumed is rejected as the result of process inefficiencies. Therefore, approximately 21 quads of additional renewable energy would be required to replace the useful energy services currently provided by fossil fuels and nuclear, assuming 100% utilization efficiency. At a more realistic utilization efficiency level of 60%, approximately an additional 35 quads of renewable energy would be required. Normal electric industry practice would provide a capacity reserve margin of approximately 20%, to allow for weather extremes and equipment outage for maintenance and repair. 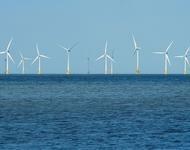 This would increase the number of additional wind turbines required to approximately 1,450,000. Hourly variations in electricity demand can average approximately 60%, which would require either additional generation capacity or storage capacity equal to approximately 30% of peak demand. Seasonal demand is also higher in summer and winter than in spring and fall, requiring additional, longer term, storage. Current US electric generating capacity is approximately 1,000 Gigawatts (GW), of which 70 GW is wind generators and 80 GW is hydroelectric generators. Replacing the remaining 850 GW with 3 MW wind turbines at a 35% capacity factor would require approximately 800,000 wind turbines. 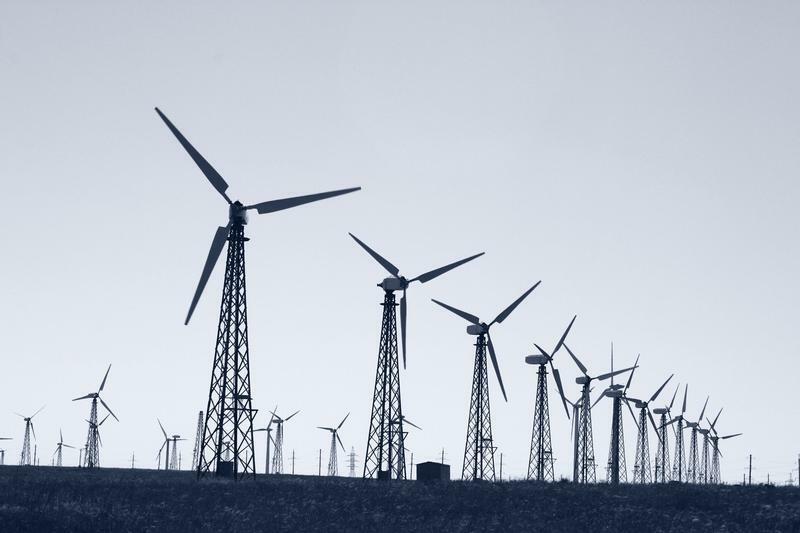 Therefore, it would require approximately 2.3 million wind turbines to replace existing fossil and nuclear generated electricity and the current direct uses of coal, oil and natural gas. That is approximately 30 times the current installed wind generation capacity. Other scenarios might rely on a combination of wind and solar initially, with later additions of Ocean Thermal Energy Conversion and Wave Energy. Regardless, this would be a monumental task. Energy Efficiency as a Climate Change Reform Strategy: Are we just throwing money at the problem? Put to one side for a moment whether we need to do anything about climate change. Assume it is real and we need to do “something.” There are a wide variety of “somethings” that we can do. Indeed, right now we are in the “throw spaghetti on the wall and see what sticks” phase. But let’s face it, we have many more problems than climate change (even assuming it is a real problem). There is, if you will, strong competition for scarce public resources to solve problems. I would think it hardly controversial to state that we should spend public tax dollars in the most cost effective way possible. Bjorn Lomborg makes the point that we don’t want to just feel good, we want to DO good! For example, if there are two competing proposals to reduce a certain amount of greenhouse gases, all other things being equal, the one that does it cheapest should be chosen. Similarly, if there are two competing proposals that will save lives, we should choose the one that saves lives for lower costs. What if one proposal is to save a life a century from now and one to save it today? More difficult, what if one is to buy mosquito netting for developing countries to mitigate malaria and another to slow the increase in global temperature in 50 years? These all involve difficult trade-offs on how to use scarce resources. Nearly every discussion of remedies for climate change discusses the enormous opportunity for energy efficiency. Based on engineering models, rather optimistic claims are made for the potential for investments in energy efficiency to cure a variety of what ails us, often called a win-win-win situation. We would use less energy. Our total energy bills would be reduced. We would emit less greenhouse gases. We would need to build fewer electric power plants. And best of all, the return on investment would rival that of Bernie Madoff’s and it would be tax free. To be fair, the US does have an energy efficiency problem. If energy prices (either gasoline or electricity) are distorted, then by definition are we not using energy efficiently. This has possible environmental, energy security, and economic implications. Both liberal and conservative energy analysts agree that the way that electricity is priced in the US leaves lots of room for improvement. Broadly, we set prices that are too low in the peak period and too high in the off-peak period. Additionally, many states set electricity rates in a way that gives electric utilities incentives to build new power plants rather than to invest in electric efficiency technologies. The key disagreement between market oriented analysts and many liberals is the technique that should be adopted to correct these problems. Market analysts promote the use of competition and market forces and market-based regulatory approaches to achieve better pricing signals for consumers. Once prices are “efficient,” then let the consumer choose how to make the myriad trade-offs as to how to spend their money. Many liberals promote a much more command-and-control regulatory approach to rectify the distortions created by bad pricing. In essence, they don’t believe the consumer will make the “right” choices and thus adopt policies that force correct choices. In 2015, a dramatic study was released by several professors from the University of Chicago and University of California at Berkeley. The study found that the engineering model that is most often used to project the costs and benefits of energy efficiency technologies was seriously flawed. It found that the model’s projections seriously overestimated the energy savings that would result from investing in a given technology. This is important because public monies are often used to fund investments in energy efficiency. If the study is correct many projects that are funded do not meet the standard of being cost beneficial. The study caused quite a stir in the energy policy community. It threatened to slaughter one of the sacred cows of progressives. But the study is significant because it is the first of its kind to comprehensively study the actual after-the-fact results to compare projected energy savings to actual energy savings. If the study is correct, it severely undercuts one of the main arguments that is often used to justify significant public investment in energy efficiency. Some who are climate skeptics will no doubt tout the study as evidence for a variety of propositions, i.e., wasteful government programs, unreliability of engineering models, the triumph of good intentions over good policy. But even for those genuinely concerned with climate change, if the study is correct and it turns out we have a real climate change problem, energy efficiency strategies will fail to address the intended problem. This means we are not really addressing climate change. We are just throwing scarce public resources at the problem. Professor Richard Muller of the University of California, Berkley, a PhD in physics, wrote a fascinating book in 2012, Energy for Future Presidents: The Science Behind the Headlines. He wrote it as if it were a memo to the next president. Though written for the 2012 presidency, bottom line, it stands the test of time and is still a good read for the next president, assuming the president also reads my critiques of some of the conclusions. I just found the book but I wish I had found it sooner. Several things are fascinating. First, the book is comprehensive in its discussion of current energy policy issues. He is remarkably lucid considering the complexity of the subject matter. To be completely honest, I learned a lot about the underlying physics of energy that will prove helpful in making future E3 policy recommendations. Second, four years have passed so we have more information now than Professor Muller had. But he was remarkably prescient in his insights about many energy issues. For example, fracking for oil shale was in its infancy, while fracking for natural gas was going gang busters. He correctly predicted that if fracking for oil shale played out it would radically change global dynamics related to energy as well as foreign policy. He even predicted that it could mean the end of OPEC. I am ready to concede that he is correct on this one. Third, he predicates much of his analysis of energy on two issues: oil security and climate change. I call each of these issues a Golden Thread. If his Threads are correct, his recommendations create an elegant garment. But if you pull both of the Golden Threads from the garment, it unravels into rags. Future blog postings will discuss these Golden Threads and the attendant recommendations. Since I disagree with the importance of the Golden Threads, much of my analysis will be critical of an otherwise very insightful book. Accordingly, I have had my share of arguments and disagreements about energy policy. It is rare to find someone whose arguments do not correspond with their self-interest. Self-interest doesn’t necessarily mean you are wrong; it just means your arguments have to be taken with a grain of salt. I have had only a few discussions with persons with no self-interest, a deep understanding of the issues, and intellectual integrity. Thus it was a pleasant surprise to find Professor Muller’s book. He does not share my world view. First, he is by his own admission a physicist and concedes that he does not have training in the many other disciplines that are required for sound energy policy. But even I would concede that my recommendations must be consistent with sound physics; thus, his insights must be taken seriously. Second, he has much more faith in government solutions than I do, though he is thoughtful in his consideration of policy alternatives as compared to conventional liberal wisdom. Third, as noted above, he believes in the Golden Threads, and I disagree with him on a number of points relating to those Threads. A radical carbon reduction strategy is unsound. Electric cars are not a sound solution to any of our energy problems. Many assumptions made about solar, wind, geothermal, and electric storage are pie in the sky from a physics perspective and should be embraced with a grain of salt. Thus, his book is an excellent starting point for deeper discussions of energy policy in future blog postings as we enter the cycle of re-envisioning energy policy in a new Administration. Hi. My name is Ken Malloy and I am a Senior Scholar with the Mark H. Berens Family Charitable Foundation, the non-profit organization that publishes this website, TheRightInsight.org. My expertise is in the integration of energy, environmental, and economic (E3) for short) policy. I hesitate to use the term “energy policy” alone to describe my expertise. I have found that energy policy issues have come to intersect so significantly with economics and environment that the term energy policy can sometimes become too limiting. I also found that too often experts were organized into silos of one discipline and only marginally qualified in the other disciplines to make sound energy policy decisions that have strong environmental and economic implications. I have worked at the intersection of these three disciplines for three decades, especially in electricity and the radical restructuring of natural gas markets to promote wellhead and retail competition. A good example of this type of confusion relates to oil imports. 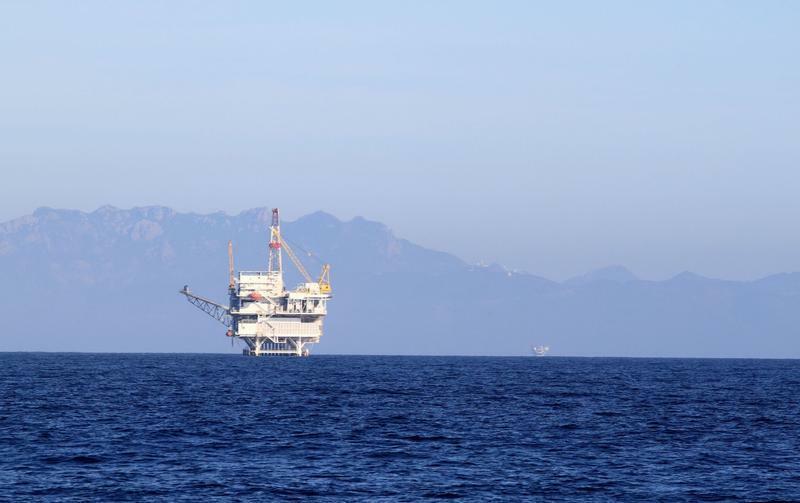 From an energy/security policy perspective, many analysts argue that imports of oil from hostile regions are a bad thing and thus they support various policies to reduce reliance on oil, focusing on vehicle efficiency standards, ethanol requirements, petroleum reserves, etc. An environmentalist might regard using oil as a problem because it depletes a finite resource or causes pollution and thus support policies that either reduce demand for oil, i.e., vehicle efficiency standards, or establish technology standards to reduce pollution, i.e., a catalytic converter. Most economists, assuming reasonably competitive global markets, would not be very worried about oil imports or consuming a “finite” resource and few economists support technology standards as the most efficient means of dealing with the third-party effects of pollution. Thus, I have concentrated my efforts on understanding the integration of policy in order to promote a sound and efficient energy industry. In addition to the integrated analysis issue, I also believe that energy policy can be misleading in that I believe most people immediately think of “fuels” (such as oil, natural gas, or coal) when they hear “energy policy.” In my view the most important “energy” policy issue is the electric system. Yet, at least at the federal level, the electric system receives decidedly less attention than do fuel issues. But as you will see in future blog posts, I think that the electric system presents more challenges for the future than does the “fuels” industries. So, who am I? I have been analyzing energy issues since 1978. I was a law professor that taught several courses that had as one of their defining characteristics the line between economic activity that would ordinarily be limited only by competition and free markets and the interests of the state or the federal government in “regulating” or affecting the competitive rules related to such activity. The period between 1978 and 1981 was a surprisingly fertile time for this focus since the Federal Government was deregulating airlines (1978), railroads (1980) and trucking (1980), but heavily regulating energy (1978). In 1981, I joined the Reagan Administration at the Federal Energy Regulatory Commission and began working on the rules related to price controls of natural gas under the Natural Gas Policy Act of 1978. I eventually continued that work at the US Department of Energy until 1992, where I picked up issues relating to oil pipeline deregulation. The radical reforms that were adopted for natural gas in the 1980s and early 1990s and the dramatic success of those reforms informs much of my analysis of E3 policy. After 1992, I also began working on issues related to the electric industry competition. For reasons detailed in other sections of TheRightInight.org, the reform of the electric industry has not been as successful as other connective industry reforms. Natural-gas use will grow rapidly, not just in the United States but around the world. This fuel is going to be so important that [the President] might consider launching a nationwide program, called something like The Natural Gas Economy, that recognizes the value of the new gas source and develops a coherent policy and infrastructure to encourage its exploitation. While I don’t agree with his conclusion regarding the need for a “nationwide program,” I share his sentiment that we have experienced a remarkable transformation in natural gas markets over the last two decades and that natural gas will continue to play an increasingly significant role in the US’s energy future. After leaving DOE in 1996, I worked for an international consulting firm for three years helping companies understand the significance of the transition between previously heavily regulated natural gas and electric markets and the emergence of policies relying on competition in those markets. Then, I started a think tank on issues of competition in the electric industry from 1999-2006. I then started another think tank in 2009 to focus more broadly on E3 policy” issues related to that enigmatic line between free markets and government policy, CRISIS & energy markets!, of which I am the Executive Director. TheRightInsight has asked me to write three types of documents. The first is a comprehensive summary of “energy policy.” Energy Policy 1.0 has been completed and can be found here. The goal of Energy Policy 1.0 is to provide a broad, market-oriented view of the current state of E3 policy for an audience that is not expert in energy policy, a Wikipedia on E3 policy but from a free-market perspective. I will provide two types of updates to this article. The first type of update will be minor technical corrections or changes as the underlying facts change. These changes will be highlighted in the document on the website so that you can see the evolution of the document (for example Energy Policy 1.1). The second type of change will possibly be an Energy Policy 2.0 if at some point in the future it becomes necessary to publish a new edition of the article, as for example might be the case with new legislation or dramatically new policies in President Trump’s Administration. The second type of document is a Commentary. Commentaries will be 6 to 10 page analyses of a single E3 issue that is more in-depth and analytical than is found in the more general Energy Policy article. We anticipate publishing a Commentary about once a month. So far we have published three Commentaries, oil markets, electricity, and the consensus on climate change. The third type of document is a Blog Post. The document you are currently reading is the first Blog Post. Our goal is to publish a Blog Post on an energy issue once a week. A Blog Post is typically about 600 words, though the nature of this first Blog Post exceeds that length. That completes my introduction to this effort now let’s get on to substance. President Obama announced the final version of the CPP on August 3, 2015. The Supreme Court issued a stay of the CPP on February 9, 2016, thereby temporarily preventing it from being implemented until the Supreme Court has an opportunity to review the Plan after the courts below had completed their review. This is the setup to possibly the most significant E3 decision in the history of the United States (dramatic music playing in the background). Both the Democratic and Republican Parties had specific language in their 2016 party platforms on the CPP. Not surprisingly, the Republican Platform advocates repeal of the CPP, while the Democratic Platform supports the CPP. So in plain English what is the CPP? There is considerable debate about the impact of carbon emissions on global warming and what should be done about it. Energy Policy 1.0 has a broad discussion of climate change and E3 Commentary 3 is an expanded discussion of the climate change “consensus.” This Blog Post is not the place to engage in that debate. Rather, it merely explains the significance of the CPP’s role in the national climate change debate. Congress has not declared a national policy on climate change. They came pretty close in 2009 with the Waxman-Markey bill, which passed the House but not the Senate (even though the Democrats had enough votes to overcome a possible Republican filibuster). Without a national policy, chaos has reigned in energy policy relating to climate change. Even if one is an ardent believer in the likelihood that carbon emissions will inevitably have catastrophic consequences, a fair-minded person would have to admit that the current pattern of policy implementation is haphazard, dysfunctional, costly, and ineffective. The CPP, if allowed to go into effect, will require each state to develop a plan for its electric utilities to meet certain carbon emissions targets set by the Environmental Protection Agency. The CPP gives states some flexibility to meet the carbon emissions target. The CPP requires a 32% reduction in carbon emissions over 2005 levels by 2030. If climate change will not cause catastrophic consequences, then actions such as the CPP are unnecessary and impose significant costs on the economy. Given that there are scarce resources available to address society’s needs, it would be wasteful to dedicate those resources to a problem that does not exist. Even if one assumes that climate change is a serious problem, there are a variety of policy strategies that are being debated as to what to do about climate change. Broadly, there are three competing strategies for dealing with climate change. The first and most often discussed is a radical reduction in carbon emissions. The theory that supports this strategy is that by reducing carbon emissions we will be able to better control the temperature of the earth. There are three ways to achieve such reductions: mandates such as the CPP, a permitting program such as cap-and-trade, and a carbon tax. The second strategy is called geo-engineering. This strategy posits that we can develop technologies by mid-century that will address the issue of the warming of the atmosphere caused by carbon emissions if such warming continues and it becomes clearer that the consequences would be catastrophic. For example, suppose that we could develop algae that would absorb carbon in the world’s oceans or that an aerosol could be developed that could be emitted into the atmosphere that would block radiation and control the temperature of the earth. The third strategy is adaptation. Weather conditions vary dramatically across the globe. Humans adjust to this variation in a wide variety of ways. For example, Amsterdam built a series of canals in the 17th Century to make the land more habitable. Given that the projected impact of climate change will have both benefits and detriments, it may be more cost-effective to adapt to a changing climate than to try to control the climate. These strategies are not mutually exclusive. Thus, a fourth strategy would be to combine pieces of all three strategies as a way of coping with the potential impact of climate change. The CPP adopts a specific strategy of requiring dramatic reductions in carbon emissions. Few would argue that this strategy will not be expensive and require massive adjustments to the electric utility system. For example, it is likely that no new coal plants will be able to be built under the CPP unless a technology is developed that allows the sequestration of carbon dioxide emissions. Additionally, many existing coal plants that have significant useful life remaining will have to be closed. To make up for the loss of coal, there will have to be significant actions taken to enhance energy efficiency and to develop renewable resources. While this may be beneficial, there is no question that it will be expensive and even potentially disruptive to the electric system. Supporters of the CPP argue that such dramatic measures are required to address the serious consequences of climate change. Opponents of the CPP broadly argue either that climate change is not a serious problem or that the strategy of radical carbon reduction is ill advised for a variety of reasons. There is no question that the election of Donald Trump and the Supreme Court review of the CPP will have a major impact on the implementation of the CPP. Energy For Future Presidents: The Science Behind The Headlines, page 294, Muller, Richard (2012)(emphasis in original). "No challenge--no challenge--poses a greater threat to future generations than climate change. 2014 was the planet’s warmest year on record. Now, one year doesn’t make a trend, but this does: 14 of the 15 warmest years on record have all fallen in the first 15 years of this century," said President Obama in his 2015 State of the Union Address. “I am skeptical humans are the main cause of climate change and that it will be catastrophic in the near future. There is no scientific proof of this hypothesis, yet we are told ‘the debate is over’ and ‘the science is settled’. … We have no proof increased carbon dioxide is responsible for the earth’s slight warming over the past 300 years,” said Dr. Patrick Moore, one of the founders of Greenpeace. But Climate Change Alarmism is now one of the main drivers of energy policy. I call it the Golden Thread. One’s views on energy policy are nearly completely a function of what you believe about climate change. If the alarmists are wrong and you pull out this Golden Thread, then nearly all of current energy policy unravels or at least must be radically altered. While I have opinions on many of the issues below, I have made a studious attempt to refrain from any pontificating and intend to simply follow Joe Friday’s advice in Dragnet “Just the facts, ma’am, just the facts.” My main goal is to put claims that there is a “consensus” on climate change into some perspective so the debate over energy policy can be better understood. I have tried to present a range of opinions faithfully. First, since the dawn of time, the earth’s climate has changed, is changing, and will change in the future due to natural variability. The earth has historically been both colder and hotter than it is today. Carbon concentrations in the atmosphere have historically been both higher and lower than it is today. Second, the science on the impact of releasing ever increasing carbon emissions is theoretically sound. All other things being equal, there is a strong scientific consensus that more carbon in the atmosphere will increase the greenhouse effect. Third, man’s use of fossil fuels has increased the concentration of carbon in the atmosphere over the last century and will continue to increase it in the future under the status quo. Fourth, increasing the concentration of carbon in the atmosphere has had and will “very likely” have some impact on increasing earth’s average temperature (temp). Fifth, even scientists labeled as Skeptics (or more derogatorily “Deniers”) acknowledge that average temp has increased about 1 degree Centigrade between 1880 and the present. Sixth, even scientists labeled Warmists (or more derogatorily “Alarmists”) acknowledge that average temp has been fairly stable (The Pause) over the last 18 or so years, i.e., it has not increased as predicted by the models despite dramatic increases in global carbon emissions. Seventh, the United States acting alone cannot solve the problem, whatever that turns out to be. Eighth, US action to radically reduce carbon will have a profound effect on our economy. Ninth, we don’t know what the “right” or optimal temperature for the earth should be. So when you see a statement like “97%” of scientists agree on climate change, these facts are the strongest basis for that claim. In fact, these claims about consensus would be largely correct if they are limited to these nine conclusions. So end of article, right? Actually, this is just the beginning and the easy part. Unfortunately, some have tortured this “consensus” into confessing more than is actually supported by the science. Did you happen to notice that the statement about the rise in temp followed the statements about how carbon emissions created a greenhouse effect, that using fossil fuels had increased carbon emissions, and that there was a recent increase in temp? You probably reasonably assumed that the temp increase was caused by man’s use of fossil fuels. Therein lies the rub. Did you notice the phrase “all other things being equal”? Well guess what? All other things are not equal. The earth’s climate is an exceedingly complex phenomenon. Let’s first start with how we measure the temp of the earth. Think of what that means the temp of the earth. You probably call to mind how we measure our own temp. Put a thermometer in our mouth for a minute and read the temp. It should be obvious there is no single place or device to measure the earth’s temp. The earth is a pretty big place. If it is hot in the northern hemisphere it is cold in the southern hemisphere. So measuring the earth’s temp is tricky business. Today, there is a consensus that the most accurate temp readings are from satellite data. Guess what? There were no satellites a century ago much less a millennia ago. In addition to satellites, we use historical data from thermometers on the ground. Not surprisingly, this yields some questionable results. Some thermometers are affected by how the land they are located on has changed over time. The “urban heat island effect” is one such development. If a thermometer was located 50 years ago around vegetation and now is surrounded by parking lots and buildings, then its ability to compare today’s temp to historical data is tainted. In some cases, we actually have consistent thermometer readings going back hundreds of years, but not enough to have a high degree of confidence in their ability to accurately measure the temp of the globe. We thus use other surrogates for estimating the past correlation between carbon concentration and temp. Popular methods includes tree ring data, ice core data and ocean floor seashell deposits. To make a long story short, there is actually a vigorous debate about how to accurately measure the past temp of the earth and how it correlates with the amount of carbon in the atmosphere. While it is fair to say that there is a consensus on increases in the last century, it is also fair to say that nothing approaching 97% of scientists agree on the accuracy of different methods of measuring historic temp before satellite data and how the recent temp compares to historic temps. Another important fact of climate history is that there are periods where warming occurred in a stable CO2 atmospheric condition and in which CO2 thereafter increased. Did the warming increase the growth of vegetation which then emits more CO2, thus increasing CO2? One of the biggest controversies is the attempt to explain warmer temps in the medieval period (900 to 1200 AD) and colder temps that followed (1400 to 1600). There had been historically strong support that higher and lower temps existed during this medieval period, i.e., grapes grew where they can no longer grow; rivers froze that do not freeze today, ships could pass areas now frozen and couldn’t in areas that are now passable. But since this was obviously before man started burning fossil fuels, it created a dilemma for the theory that fossil fuels alone were causing higher temps in recent times. So several scientists reassessed the temp data of the medieval period and concluded the temps were actually colder during this period, thus adding support to the role of fossil fuels in the current period as the likely cause of the temp increase. This set off a firestorm of controversy and has largely been discredited. As part of this controversy over some scientific conclusions, someone hacked a prominent university’s email system and released the emails to the public. Sadly, even a generous reading of the emails indicated that there was manipulation of data and political considerations in how to interpret, treat, and release important data and conclusions. Given the magnitude of some of the actions that would need to be taken if the alarmist theory is right, trust in the scientific community is essential. This email episode and many of the actions of the United Nations International Panel on Climate Change have undermined that trust and conflated science and politics. So what caused the higher temps in the medieval period? There is certainly no significant consensus on the temps of the medieval period and thus this period remains a difficult anomaly for those who believe that fossil fuel is a very significant cause of any recent warming. As the UN IPCC recognizes, many natural factors affect the earth’s temp. Let’s start with the most obvious, the sun. The sun’s rays are not static over time but ebb and flow. Sunspots can go “silent” for periods of time and be very active in other periods. The earth has clouds that block the radiative force of the sun. Another little understood factor is extra-galactic cosmic ray bursts which can significantly affect the earth’s cloud formation. Then there are the oceans that absorb and release carbon. Volcanos and aerosols affect temp by blocking the sun. The axis of the earth has an effect, and this axis is constantly changing. Additionally, there are periodic weather patterns called El Nino and La Nina that can have a profound effect on temperature and rainfall. Like sunspot activity, the strength and thus impact of these weather patterns are not fully predictable. No scientist denies that “natural variation” plays some role in the temp of the earth. But it is a knotty problem to ferret out how much is attributable to man and how much is due to natural variation. There is a vigorous debate about how much each of these factors, and many others, contribute to the temp of the earth. For example, if the sun is responsible for 99% of the earth’s temp and carbon from fossil fuels for 1%, then you can see that there is probably not much advantage to reducing fossil fuel emissions since it will not have much effect. The fact is that there is a lot we don’t know about how clouds, oceans, aerosols, and many other factors affecting temp. So while there is little debate that man has some impact, there is a vigorous debate about how significant man’s impact is to any potential future warming. While it may look like man’s contribution is miniscule (about a quarter of 1%), some scientists argue that this small amount is the tipping point that will cause the dramatic rise in temp. Other scientists disagree and believe that man’s contribution is not and will not be a major factor in climate change. But there is nowhere near a 97% consensus here on how much warming can be attributed to man versus natural variability. Related to man’s use of fossil fuel is the question of how quickly carbon dissipates once it is emitted. Some scientists believe (and historically the conventional wisdom is) that it dissipates within 5 years. But more recently, some scientists have come to understand that the answer is much more complex since there is a constant interchange of carbon between the earth (plants and oceans) and the atmosphere. Some now believe that carbon emissions hang around for a much longer period that previously believed. Again, there is nowhere near a 97% consensus on this issue. One of my favorite questions is given the variability of the historical record what is the right temp for the earth? Why do we assume that the current temperature is scientifically proven to be optimal? We certainly have a scientific basis for knowing that 98.6 degrees is the “normal” temp of the human body. No such scientific consensus exists on the right temp for the earth. To sum up, there is indeed a strong consensus on some issues, but there is also strong debate on other issues. So given that many uncertainties still exist, how do we know what the temp will be a century from now? We develop models. Let’s try a thought experiment. Think of the issue of how much money you will spend in April 2019. Suppose I gave you and several other financial experts a million dollars to each come up with the best possible calculation. You would take a spreadsheet and start listing all the categories of expenditure (and likely sources of income since that would operate as a boundary). You would then try to estimate how much you would spend for each category. You would try to anticipate all the life events that would happen in just 3 years. You might get married or divorced. You might have a child. An elderly parent might come to live with you. You might get sick. You might get fired or get a promotion. The economy might crash. Inflation might accelerate. Taxes might increase. You might have a car accident and buy a new car. You do your best to make educated guesses about your life. After all who knows you better than you? You then hit the sum button and you get a number. Is that number a “fact?” Or is it an educated guess, indeed the best educated guess you could make after lots of effort. But at the end of you day, you would surely realize that there are a hundred things that could happen to throw off your calculation. Additionally, how do you think your calculations would compare to the financial experts? How would the financial experts compare to each other? You would not be surprised if everyone had a different estimate. Only time will tell whose educated guesses will come closest to reality. This is what scientists have done. They have created incredibly sophisticated models to predict how much the earth’s temp will increase over the next century. We don’t have just one model. We have a lot of models. And the scientists building the models are incredibly credentialed, hardworking, and well-funded. And different models make hundreds of different assumptions and not surprisingly reach different conclusions. Let’s conduct a thought experiment on change over time. Modelers want to make an educated guess about the earth’s climate about 100 years from now. Take half that time period (50 years) and answer this question. If you were to predict in 1965 what life would be like in 2015 (50 years), how close to reality do you think you would be? A century ago the most challenging environmental problem was horse poop in burgeoning urban centers. Indeed, this calls for some humility. It seems simply preposterous to anticipate all the technological changes that will happen over a 50-year period much less a century. You may call it naïve but isn’t it likely that we will find an innovative technological solution to climate change if indeed carbon concentration turns out to be as serious a problem as the Alarmists believe? Nonetheless, the models seem to generally support a projection that temp will increase with some correlation to our burning of fossil fuels, but with a significant variation as to how much temp will increase and the degree of the increase attributable to burning fossil fuels. To be fair, there are some credentialed critics (MIT, Princeton, and Harvard) that are concerned that there is a bias in the models, reflecting the need for ever increasing funding for the modelers scientific efforts. The concern is that there is more academic success by winning large grants of funds and that demonstrating a serious problem leads to large funding. If there is no serious climate change problem, funds will likely dry up for research. There are also claims that scientists who are skeptical about the seriousness of climate change do not get funded on an equal basis if at all. But this may be an unfair criticism. Some of the scientists no doubt care about doing sound scientific research. So how well have the models done so far? Well, not a single model predicted that temp would remain relatively stable for almost the last two decades. It is fair to ask if the models cannot accurately predict the easy stuff (how much will you spend next month versus 3 years from now? ), how much confidence should we have in predicting the hard stuff a century from now? This is especially true given that many of the conditions embedded in the model are the subject of substantial debate and uncertainty. Indeed, there are some instances where scientists use “plug” numbers to make sure that the models can be reconciled with historic climate patterns. It is not unusual for modelers even in modeling outside the arena of climate models to use a variety of techniques to accommodate uncertainties. So track records have to matter in whether our confidence in the results of models should be increased or decreased. And indeed it seems somewhat surprising that when “adjustments” to the data or models are made they all too often seem to be in the direction of increasing projections of warming. The climate change literature is now replete with explanations of why the models failed to anticipate the “pause.” One wag has actually counted 66 different explanations. There is certainly no 97% consensus here. In 2015, there was a good example of the difference between engineering models and their ability to accurately predict future reality. There is an engineering model that is nearly universally used to predict the cost and benefits of making various energy efficiency investments in a given residential home. For example, if you invest in insulation, more efficient windows, and weather stripping and it cost you $5000, the model will show how quickly that investment will save you enough in lower energy bills to pay back the investment. The key calculation is projecting the anticipated energy savings. A study by professors at the University of Chicago and Berkley did a very detailed analysis of the projected energy savings and compared them to the actual energy savings in 30,000 homes that were part of a federal program for funding such investments. The study found that the model systematically overestimated savings by more than half. Thus investments that the model predicted would be cost effective were in fact bad investments. Another example of the difficulty of making even much more focused computer projections is the famous bets between Ehrlich-Simon and the Simmons-Tierney (put your money where your mouth is). In both instances, a bet was made between experts who were alarmists about the future of scarcity of natural resources and those who thought they were, well, being alarmists. The bets consisted of predicting natural resource prices over relatively short periods (10 and 5 years respectively). In both instances the alarmists were, indeed, alarmists, wrong in their predictions, losers in the bet (both paid off). Yet, alarmists are much more likely to get media coverage than those who claim that the alarmists claims are overblown. The point of discussing the personal finance thought experiment, the nearly two decade pause, the energy efficiency study, and the natural resource bets is to raise a cautionary concern about relying on computer models for making projections far into the future. Computer models are no doubt helpful to our understanding of what may happen in the future but the results of these models are NOT FACTS. They are best-guess estimates that are subject to a variety of flaws and biases. OK so there is a high degree of consensus on some issues and a lot of debate among scientists on other issues. Where does that leave us? The question then is what will happen. Surprisingly, there is no clear consensus on what the earth looks like in 2100 if temp increases by 5 degrees. Botanists pump carbon dioxide into greenhouses to help plants and flowers grow better. Carbon dioxide is essential to life. We breathe in oxygen and exhale carbon dioxide. Plants absorb carbon dioxide and release oxygen. The earth has been hotter and colder than our predicted conclusion of a 5 degree increase and it has had higher and lower concentrations of carbon dioxide. So will a temp increase be beneficial or catastrophic for humankind? On the plus side is the fact that the global area producing food crops will substantially increase. With higher CO2 concentrations, crop production in tropical and temperate areas can be expected to increase. Fishing catches in the oceans of the world may increase. Based on the current models of temperature increases, Arctic and Antarctic ice and glaciers may not melt enough to inundate coastal urban areas or islands. There will be fewer deaths from frigid temperatures, which by far outnumber deaths from high temperatures. But some scientists predict the end of the world as we know it. Storms will increase. Floods will cover Manhattan. People will suffer from pestilence and starvation. Al Gore won an Oscar for shocking us in “An Inconvenient Truth.” The UN’s IPCC has won a Nobel Peace prize for raising concerns about the potential devastating impacts of climate change. There are clearly a lot of loud voices from both scientists and non-scientists claiming that the results will be catastrophic and that radical efforts must be undertaken to avert this outcome. Some scientists believe just the opposite. “The chief benefits of global warming include: fewer winter deaths; lower energy costs; better agricultural yields; probably fewer droughts; maybe richer biodiversity.” Even some of those scientists that recognize that there will be some negative impacts from climate change believe the harms are exaggerated and that radical solutions are premature. Some Skeptics believe that changing the terminology from “global warming” to “climate change” was a deliberate attempt to claim that any weather anomaly could be attributable to man’s burning of fossil fuels. Additionally, there is the problem of how one would disprove climate change by looking at weather anomalies. If everything proves climate change, nothing can disprove climate change. It seems that every weather event is blamed on climate change. If the scientific method is the ability to test the truth or falsity of a hypothesis, what evidence would you want to see that proved that carbon emissions had at best a de minimus effect on temp or weather conditions? If drought or rain, storms or lack of storms, snow or no snow, cold or hot, temp increase or no such increase, all prove the existence of climate change, then what would disprove it? Suppose that we would still have storms in 2100 but they would be only 2% more severe? Not even the most ardent Warmist claims there will never again be weather events even if we completely weaned ourselves off carbon. In 1971, John Holdren edited and contributed an essay to a book entitled Global Ecology: Readings Toward a Rational Strategy for Man. He wrote …the book’s sixth chapter, called “Overpopulation and the Potential for Ecocide.” … In their chapter, Holdren and Ehrlich speculate about various environmental catastrophes, and on pages 76 and 77 Holdren the climate scientist speaks about the probable likelihood of a “new ice age” caused by human activity (air pollution, dust from farming, jet exhaust, desertification, etc). John Holdren is now not only the “Science Czar” for the United States, but he’s also one of the original leaders of the “alarmist” wing of the Global Warming debate and he now promotes the notion that the current climate data points to a looming planetary overheating catastrophe of unimaginable dimensions (he helped make the charts and graphs for Al Gore’s film An Inconvenient Truth, for example). As of July 2016, “Dr. John P. Holdren is Assistant to the President for Science and Technology, Director of the White House Office of Science and Technology Policy, and Co-Chair of the President's Council of Advisors on Science and Technology (PCAST).” Dr. Holdren was one of the alarmist participants in the Ehrlich-Simon bet. Apparently, being consistently wrong in making alarming projections does not harm one’s career. Ok, but let’s assume that we become convinced that more bad things than good things will result from a significant increase in temp over the next century. Then the big question is what is the right policy to address that situation? Now the question is one of policy, not science. Broadly, there are three strategies: radically reduce carbon emissions, develop new technologies that will mitigate carbon concentration in the atmosphere, or adapt to a new reality, and there are lots of combinations in between. What should we do? What actions should we take? Let me draw on an analogy from the past. In 1949, polio was an epidemic in the US. The consensus treatment for some polio victims was called an iron lung, which is a bulky contraption that helped polio victims breathe. (Illustration on the left.) Scientists projected a lot more cases of polio. The consensus policy solution might have been that we should order millions of iron lung machines for all the potential victims that would develop polio. But then Drs. Salk and Sabin in the next several years developed a vaccine for polio. Today, polio is nearly extinct around the globe, with less than 300 cases reported globally in 2012. All in about 60 years... So, what are we going to do with all those iron lungs we ordered? Another example of how quickly things can change. The Wright Brothers first flew about 200 feet in 1903. Air power dominated World War II in the 1940s. And we put a man on the moon in 1969. All in 66 years! Keeping in mind the pace of change in computer technology and communication, how wise is it to make policy now on uncertain predictions of what will happen a century from now? Still, some people believe that climate change is the single most important issue facing the world and must be addressed by dramatically reducing our reliance on fossil fuels and transitioning to renewables and more efficient use of energy as soon as possible, irrespective of costs or quality of life. Such Warmists have not been successful in convincing the Congress of their position. Even when President Obama had a filibuster proof Democratic Senate and a majority Democratic House, they did not agree on legislation on climate change. Needless to say, legislation that will satisfy Warmists is not likely to pass a Republican House and Senate. Even the American people seem skeptical. Poll after poll ranks climate change or global warming near the bottom of the priorities that should be addressed. Even a United Nations poll of seven million people worldwide ranked “action taken on climate change” dead last in a list of proposed priorities. Skeptics obviously oppose the Warmists’ agenda. There are lots of criticisms made but they boil down to the belief that there is not enough evidence to support policies that would have a profoundly negative impact on our economy and quality of life for very little real impact on future temperatures. Additionally, some are concerned that the developing countries will never achieve a higher standard of living without using fossil fuels for electricity and growth. The Expert Panel was presented with nearly 40 investment proposals designed by experts to reduce the challenges of Armed Conflict, Biodiversity Destruction, Chronic Disease, Climate Change, Education Shortages, Hunger and Malnutrition, Infectious Disease, Natural Disasters, Population Growth, and Water and Sanitation Shortages. They found that fighting malnourishment should be the top priority for policy-makers and philanthropists. It turns out that the panel of experts believed the costs of trying to reduce fossil fuel use does not result in enough benefits to merit immediate attention. (One estimate is that there is only 10 cents of benefit for each dollar spent reducing a ton of carbon. But others have found much higher benefit to cost ratios.) Like the polio example, if we continue to study the problem and improve our understanding of climate, fossil fuel use, mitigation, and adaptation, it is likely that we will find a solution that is far more cost effective in the future and aimed at the real magnitude of the problem. As noted in the quote at the beginning of the Commentary, even one of the founders of Greenpeace is skeptical that radical reductions in carbon emissions will be beneficial to the earth and the economy. The concept of Geoengineering (bolded in the list above) posits that we will discover a mechanism for neutralizing carbon in the atmosphere if indeed it turns out to be as serious a problem as some believe, a “vaccine” if you will. The solution advocated most aggressively by Warmists is to dramatically reduce carbon emissions from using fossil fuels for our energy needs. They advocate replacing fossil fuels with renewables and more efficient use of energy (light bulbs, more miles per gallon, better windows etc.) and some (but not many) advocate greater use of nuclear energy. Many energy experts believe this strategy is not only costly (the US average for electricity is about 11 cents per kWh and Germany’s is 33 cents), but dangerous. Renewable energy is simply not as reliable as fossil energy. The challenge is something called intermittency. Sometimes the wind doesn’t blow or the sun doesn’t shine. Regrettably, there is not yet a cost effective means for storing electricity for this intermittency problem. Additionally, major changes to the electric grid would be necessary to accommodate renewable energy on the scale that would be required to substitute it for fossil fuels. There is no doubt room for debate about what the right mix of renewable and fossil energy should be but the main point is that there is nothing close to a consensus on this point. Regarding the impacts of radical carbon emission reduction, some economists make the point that a prosperous economy is the best defense against the potential challenge of climate change. It is simply a fact that richer countries are more environmentally sensitive than poorer countries. Given that there will always be natural disasters even if carbon is reduced, some advocate that scarce resources are better spent more broadly on contingency planning and adaptation. Venice and Amsterdam built canals to adapt to water levels in order to improve the quality of life in those cities. Warmists often point out that recent hurricanes have caused much more property damage than previous storms. But this is true because more people now live and build near water than in the past. Adaptation would ensure that buildings would be constructed to withstand the inevitable tests of natural disasters. Lastly, we have the problem of efficacy. If nothing I do solves the problem, then I am wasting my time and money by focusing on my response to that problem. Flushing money down the toilet as the saying goes. Even assuming all the worst case uncertainties, the United States would not even make a dent in the problem by zeroing out its carbon emissions. To be efficacious, the entire world would have to cooperate by reducing carbon emissions. To be sure, the US could “lead the way.” But at what cost? Surely China and Russia would be giddy to strike such a blow to the US economy, while China builds a coal plant a week to fuel competition with the US. Finally, let’s deal with another aspect of the issue of climate change: public discourse. There are issues on which scientists have reached a “consensus.” But as you can see above there are many important issues on which they disagree. At one time there was a consensus that the earth was the center of the universe. If your best response is that I don’t need to look and discuss new evidence because there is a consensus on the current view, then I think that undermines the essence of not only the scientific method, but critical thinking capacity. Many consensuses have turned out to be mistaken. (We no longer have a consensus on whether eggs and the FDA’s Food Pyramid are healthy!) And the nub of it is that there is NOT a consensus on many of the critically important issues on climate change. In 1949, there was a consensus that polio was caused by a virus and that it was likely to infect millions in the future. But that consensus did not and should not dictate what the public policy response should be. As described above, a lot of issues remain uncertain relating to climate change. One would think that so consequential a matter should result in a vigorous, civil discussion of how to reconcile climate change actions with other priorities in society. For example, is it a better use of funds to lower our standard of living to try and ameliorate climate change or better educate the next generation of scientists that will find a “vaccine” for carbon, if it turns out that the carbon problem is serious? I don’t know the answer to all these questions but I certainly think we need to discuss them in a serious and civil manner. Rather than debate the issues on which there is disagreement, some Warmists shout down debate by stating that the “argument is over,” “the science is in,” and there is a “consensus of 97% of scientists.” Unfortunately, one side stands ready willing and able to debate the climate change issue in all its dimensions. But many on the other side have adopted a most unscientific position, indeed an antediluvian and Luddite position, of refusing to discuss the issue, indeed trying to shut down debate. “The debate is over.” “All responsible scientists agree so there is nothing left to debate.” Indeed, climate Skeptics have been begging for an open debate for years now. But the Warmists seem to have adopted a strategy of refusing to debate. The “public debate” issue has recently taken an even more odious turn. On March 13, 2015, Al Gore publically called for skeptics to be “punished.” There has been a growing drumbeat that anyone who disagrees with the Warmists’ position should suffer dire consequences for such heresy (a very small minority have even called for the death penalty, but one would hope this is merely hyperbolic rhetoric). Recently, there has been a particularly nasty and vindictive campaign against Dr. Willie Soon, a Harvard University solar physicist, for a study which he co-authored. Lastly, in 2016, the US Department of Justice indicated that it was looking at the issue of whether climate change denial violated the law, as were various state attorneys general. So there it is. I don’t have all the answers. I hope that this provides a reasonable explanation for why the climate debate is so contentious and confusing. The areas of a lack of consensus do not necessarily suggest that climate change is not an important issue that merits ongoing attention and additional scientific research. One hopes that we can return to a day and time when we can openly debate the scientific basis for projections of what climate will likely be a century from now and fashion public policies appropriate to the scientific facts. Thank you for visiting https://www.therightinsight.org:443/Energy-Policy! Be sure and revisit therightinsight.org frequently for content updates and more.